Nature’s Sunshine ALJ Capsules assist the body in cleansing potentially harmful airborne particles from the respiratory system and provide immune system support. 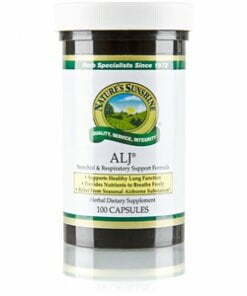 The blend of herbs in ALJ Capsules work together to support the body as seasons change. The formula includes fenugreek and mullein, both herbs that contain mucilage which soothes tissue. 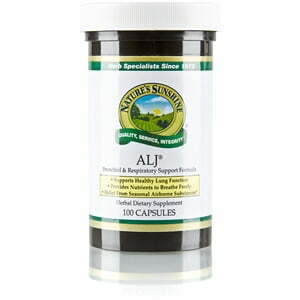 The other herbs found in ALJ Capsules assist in cleansing the respiratory system and nourishing the lungs.